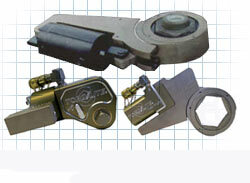 Since 1981,Francis Torque Tools has been designing tools for their own industrial bolting service. Their tools have several "Working" patents and have received several awards such as the "1999 WOELFEL BEST MECHANICAL ENGINEERING INNOVATION AWARD" for their Riser tool. Now these tools are available to you, and we know that you demand the same standards as they have over the years.